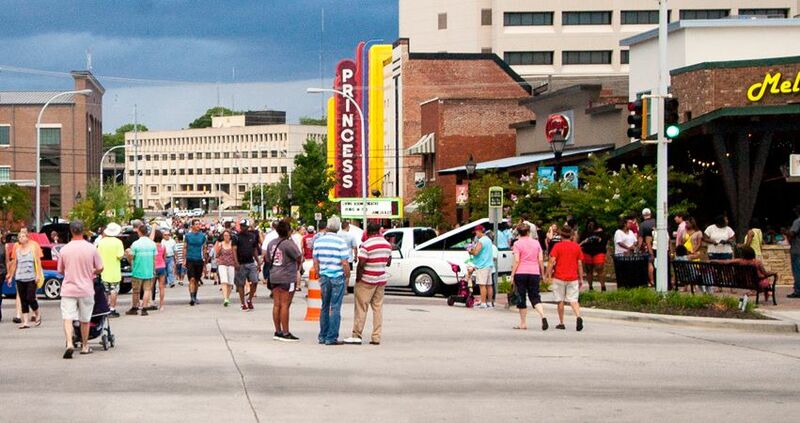 Downtown Decatur’s monthly block party takes to the streets this Friday, August 18 for an evening of music, shopping, dining, classic cars and vendors. In celebration of back to school, festivalgoers are encouraged to bring school supplies to benefit local children. Organized by the Downtown Merchants and Business Association, 3rd Friday gets underway at 5:30 p.m. This month’s celebration features a school supply drive and festival goers are asked to bring donations to Jones Park to benefit the local Boys and Girls Club. While antique cars line 2nd Avenue, some of the area’s best musicians and entertainers will be performing at various locations. Performers slated for Friday include Elvis impersonator Michael Dean at the Princess Theatre, Divide by Zero at Gyro Uno, Lindsey Gravitt at Downtown Dawgs and Wild Paisley at Kathleen’s. Everyone is also invited to a street dance party led by Delandrion Woods at the intersection of Moulton and 2nd Avenue. Craft vendors selling handmade items and artists and artesian goods vendors will fill the area of 2nd Avenue from Moulton Street to Johnston Street. Additional store specials, giveaways, and discounts will be offered at select retailers, and many of the merchants will remain open until 8 p.m. or later. 3rd Friday is concentrated in the 2nd Avenue area only (including Holly Street, Moulton Street, Johnston Street and Grant Street). Beginning at 4:30 p.m. streets will begin to be blocked and will be closed to traffic from 5:30 until 9:00 p.m. 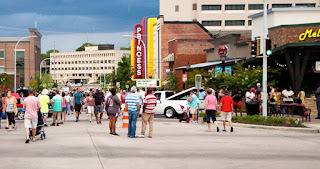 Antique and classic cars are asked to be in place by 5:30 p.m. For more information on 3rd Friday, visit www.facebook.com/3rdfridaydowntown/. Third Friday’s was first organized in 2009 by merchants as a way to attract locals and visitors to the downtown area. Presenting sponsor is Budweiser. Additional sponsors include Decatur Downtown Redevelopment Authority, Magnolia River, Bank Independent, Decatur/Morgan County Convention and Visitors Bureau, Decatur-Morgan County Chamber of Commerce, Cook’s Pest Control, Morgan County Commission, Nucor Steel, 3M, Peck-Glasgow Insurance, Renasant Bank, Stovall-Marks Insurance and King Insurance Agency. The Downtown Merchants and Business Association wishes to thank the City of Decatur Parks and Recreation Department for the tremendous support they provide to the event as an in-kind sponsor.